I used to hate Monday mornings. Why? Because that was the day when my language arts teacher would have us copy a list of 25 spelling words she’d written on the blackboard. Spelling practice doesn’t have to be done with pencil and paper and it doesn’t have to be boring either. Are you looking for websites that share effective and engaging vocabulary activities? 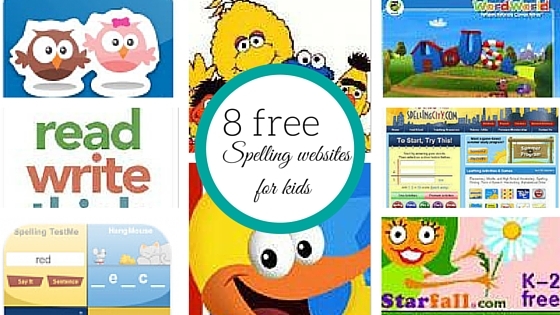 Here are 8 Free spelling websites that we are using to supplement their education. I remember taking spelling tests right up until I graduated but, time have changed! Back then we would copy a list of 25 spelling words then look up the dictionary definitions and copy those down as well. For homework , we’d re-write each word seven times. Good, now you know it. Right? Spelling Test on Friday and fingers crossed those words didn’t re-appear at the end of the school year in the review test. With spell check and google at children’s reach teachers at our school have decided to forgo traditional spelling words at the end of Grade 3 suggesting that through reading and comprehending students will learn new words on their own. Gulp! Sorry kids, mommy learned an entirely different way and you’re not getting out of learning how to spell that easily. We want to enrich your education and let you have a little fun while we are at it. Duck’s Alphabet is a colourful, simple site for preschoolers to learn phonics pre-reading skills. Intended for the very early reader, kids need only to listen to instructions and know how to click on a mouse to be able to play. There’s one main game theme on this site, which moves through all letter sounds of the alphabet and rewards kids with a printable colour sheet at the end of mastering each one. Sesame Street is a fun, safe, and educational place for kids to play and learn. Parents can set up playlists of videos and games that even pre-readers can navigate through. Downloadable podcasts allow parents to take shows on the road — or just watch them later. Starfall.com is a the learn-to-read site is arranged in four different main sections to play, I chose this website because your child will begin their spelling/reading journey with learning the alphabet. Teaching early letter recognition is important when learning how to spell. The presentation of each topic is clean, and the site sets a good pace with an ample amount of repetition. 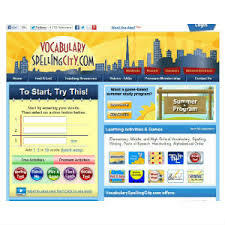 First of all, we have only used the free version of VocabularySpellingCity where most of the spelling portion is free. This Interactive learning site kids can play a variety of games and activities to practice their vocabulary and spelling. This program is perfect for all ages – K-12 – since it’s completely customizable.The “Spelling TestMe” portion of the site allows students to take practice and actual spelling tests online. On the Spelling Test page, the computer says the spelling word and then uses it in a sentence. The student then types the word in the blank. This section can be used for both a pretest – to test a students prior knowledge – or the final test. On the “Teach Me” page, the student can click on each spelling word. The computer will spell the word, say the word, and use it in a sentence. From there, students can practice their spelling words in several of the free games. KidsSpell.com has a ton of spelling games, and you can also easily create ones using your own spelling lists. However, they’re not offered in context and there’s no audio pronunciation. ScootPad is a learning platform that helps kids practice math, reading, and spelling. Parents can use your account to set up learning tracks and select assignments for your child. ScootPad is a solid place for kids to practice spelling words and literacy skills.Complete K-8 Solution. 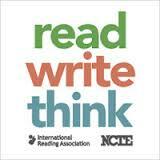 Comprehensive K-8 curriculum in Math, ELA, Spelling, eBooks, Writing, and more. Thankfully now, Monday’s wont’ be quite so hard for my kids with spelling websites available to help them. Great resources! I am a language arts teacher – although I teach the older kids. I will pass some of these on to other teachers. I can’t believe they surpassed spelling at school but luckily you have more sense than they do! Those spelling sites look great and they are approved by kids too. Starfall is one of our favorites! It’s always more fun to do spelling in a game! These websites look so cool. I wish these had been around when my daughter was learning to spell. This is a great list! I know it will come in handy for my two girls. My oldest uses Spelling City and she love it. Thanks for sharing all of these cool free learning spelling apps/programs. I will be pinning this to my Homeschooling Board. Who doesn’t need some help with spelling?! I don’t have any kids, but the information listed is a great set of resources for my sister to share with my nephews. ha! I so remember that Monday spelling words list feeling. And this list is such a great resource for extra spelling practice, thanks for sharing! These look like such good sites. My daughter loves educational sites to help her with school. I’m going to have to bookmark this for my pre-schooler. She’s not quite ready yet but she will be eventually. My kids would have loved the Sesame Street website. They loved everything Sesame Street. This is exactly what I need. Especially for my girls who one of them is struggling with spelling so this will be fabulous for her. Great post! Thank you for sharing these 8 spelling website and it is perfect timing, my sons are back in school and this will be a great way to add spelling to their homework routine. Great list! I am familiar with some of these but not all, thanks for the suggestions! Boy, did I hate spelling in school. Indeed, it consisted of a set of spelling words that I just had to write and rewrite over and over again. Not fun! These spelling webisites sound quite cool, although being blind, I’m not sure I can use them myself (not that I need to, but to check out whether they’re useful). I must admit spelling in not my strong spot. I think I could use a few of these apps for myself. I need to try the Alphabet Duck for my son. He is in preschool, this sounds like it would be helpful for him and give him a leg up on reading. Great resources for kids. They can learn while having fun. Thanks so much for sharing this valuable information. My oldest is definitely going to be working on spelling this year. Now I have something new to add to our educational time at home. This is a great resource!! I feel like they focus less and less on writing, especially proper spelling, so this is useful!! These are great suggestions! I need to look at these for my 2 little ones to use while I homeschool my older kids. Seasame Street is so educational! Davey loves to play on his iPod. These sites make playing and learning fun. Davey has so much fun playing I think he forgets he is learning. These sound like fun ways for kids to learn. Spelling can be so challenging and so frustrating – and not just for kids! This is a great list! I’m familiar with Starfall.com as my daughter’s teacher last year introduced us to it. My daughter still loves to hop on and practice! We used to use starfall now the kids in elementary school have sites with all their words from teh week already in there. Free is good! Great list. When I was younger we had a television programme called Words and Pictures to help with literacy. It’s wonderful how many free resources there are out there now. I am going to check some of these out. My little guy is in 3rd grade now and he struggles with spelling.